Please welcome the following new full playing members, James Hicken & Sean McAlinden who have joined recently. The club will host an interactive Rules of Golf 2019 evening with John White, DCGU on Thursday 10 January 2019 at 19:00. Entry is FREE, however the evening will be limited to 40 members. Please register your intent to attend at the bar, your bar card will be required for registration. 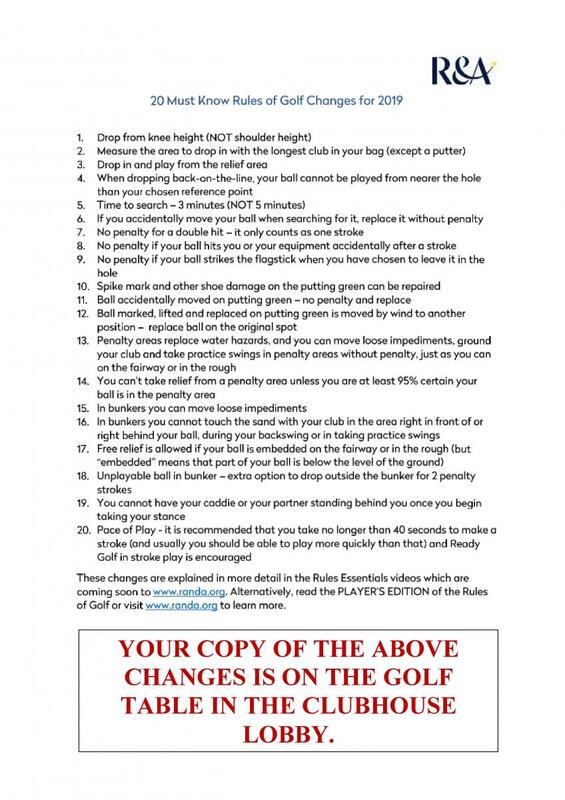 Click HERE to download the 20 Must Know Rules of Golf Changes for 2019. A copy is also available in the foyer. Mats are to be used on these two fairways to protect the grass. They are small fairways on short holes with the result that they get a lot of usage. Using shorter irons also increases the number of divots taken. Protecting them over winter means that come next spring the grass on the fairway will be stronger, providing a better playing surface. Please use the mats, it is in your long term benefit. No more parking problems, have your own reserved parking space for 12 months, near the main clubhouse. All you need to do is enter the KHGC Charity Raffle Parking Draw, tickets cost £1 each and can be purchased at the bar. The draw will take place at the Tom Jones Tribute Night on Saturday 23 February 2019. 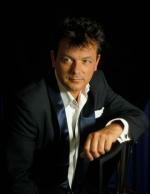 Christmas Dinner Dance with the popular Steve Pert multi-tribute show. At K HGC members have the benefit of playing at the following 20 courses as part of a reciprocal agreement. ONE 4 ball per day at: Ashley Wood, Reading and Weymouth. ONE 4 ball per week at: Came Down (Dochester), Chippenham, Cricket St Thomas (Somerset), Enmore Park (Somerset), Hamptworth, Highcliffe Castle (Christchurch), Lewes (East Sussex), Romsey (Southampton), Salisbury & South Wilts Taunton & Pickeridge, Teignmouth, Wareham, Wellow & West Hove. TWO 4 balls per week at: Boundary Lakes (Ageas Bowl, Southampton). Click HERE for reciprocal booking procedure. NOTE: The reciprocal scheme is only for the use of club members, guests are not allowed to be invited to play.